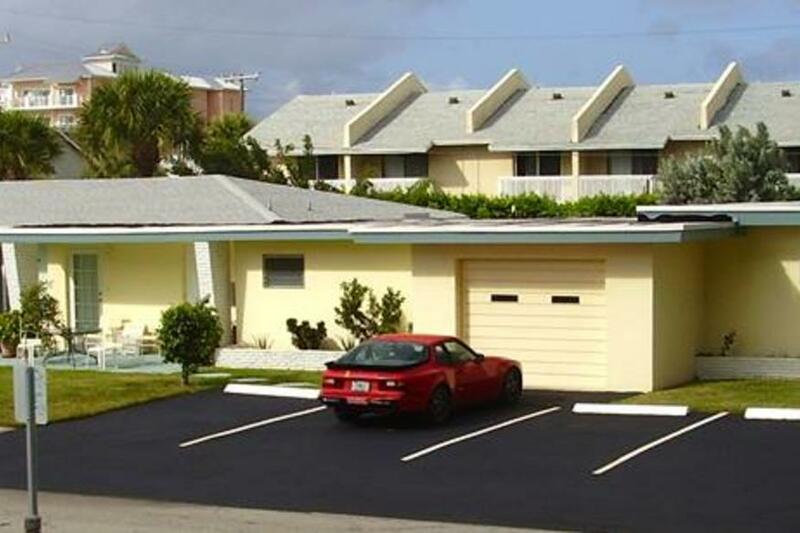 Higgins Ocean Apartments is a small Floridian building east of the Intracoastal Waterway off of A1A. One block to public beach, boardwalk, fishing pier and ocean view restaurants. Three ground floor charmingly furnished efficiencies with a full kitchen; a large tiled tub & shower bath with a walk-in closet and dressing room. The livingroom-bedroom area is spacious with 3 exposures to the yard & patio. HD Cable TV, Wireless Internet & all furnishings are included. Driving Directions: I-95, Exit 37 E., take Hillsboro Boulevard (S.R. 810) approx. 3 mi. go over Intracoastal Waterway bridge and turn left at light. Follow A1A right, then an immediate left onto 20th Ave. Higgins Ocean Resort is Located on the N.W. corner of N.E. 3rd St. & 20th Ave.